What School is the Best Value in the NCAA Men’s Basketball Tournament? It’s that time of year again, when madness overtakes March. But forget the basketball. What parents and graduating high school seniors really want to know is: Which schools offer the best value when it comes to striking a tuition check? You can’t always tell the best value by a college’s published tuition and fees. 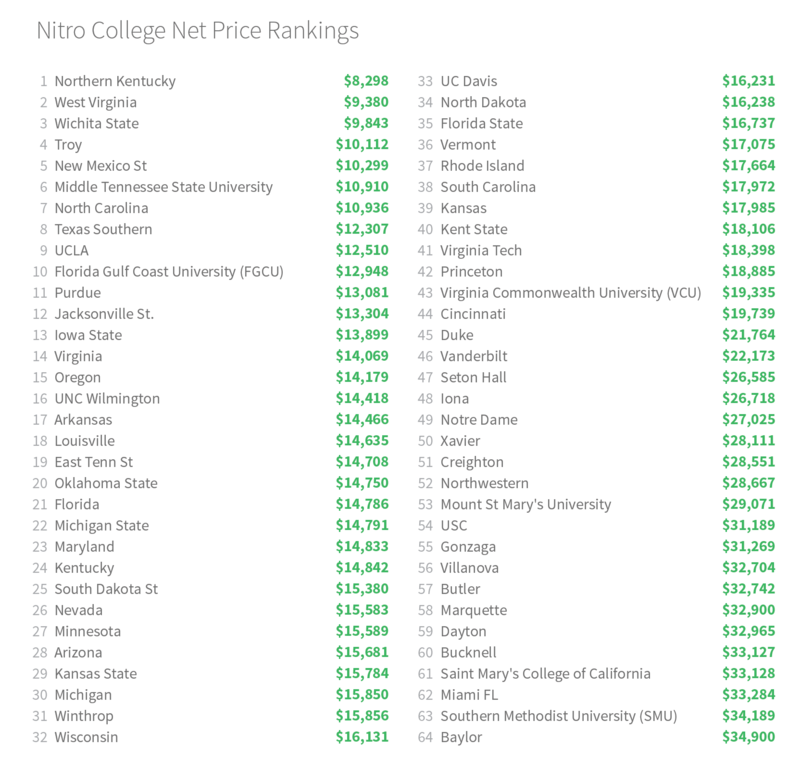 An analysis performed by Nitro using publically available data, found that on average, schools in this year’s NCAA Men’s Basketball Tournament use scholarships and other financial aid to “discount” their advertised price by 40 percent. 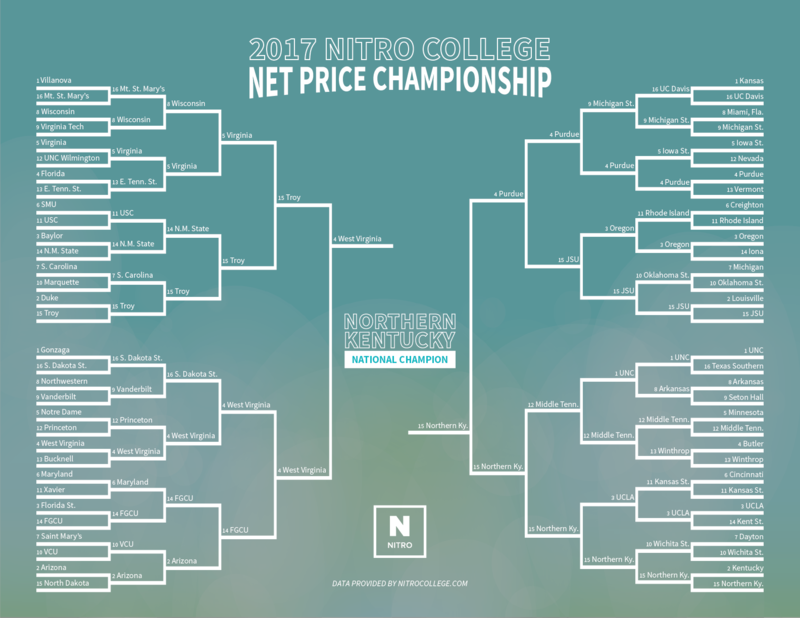 Nitro played out the entire 64 team tournament to determine the best value in college championship basketball. What we found was pretty eye opening. Note: You can click on the images to enlarge. It’s now come down to the last four teams. 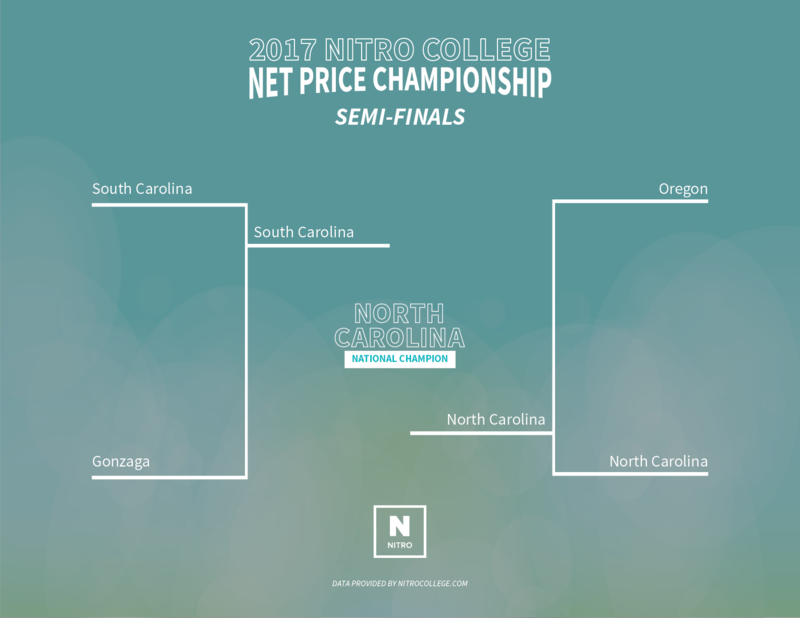 On April 1 teams from the University of North Carolina, University of South Carolina, University of Oregon and Gonzaga University will face off in the semi-finals and finals of the basketball championship. Here we pit the last four schools against one another. Which school will be crowned “Champion for Best Value” in the NCAA Men’s Basketball Tournament? Here we reset our bracket, pitting the final 16 schools against one another. 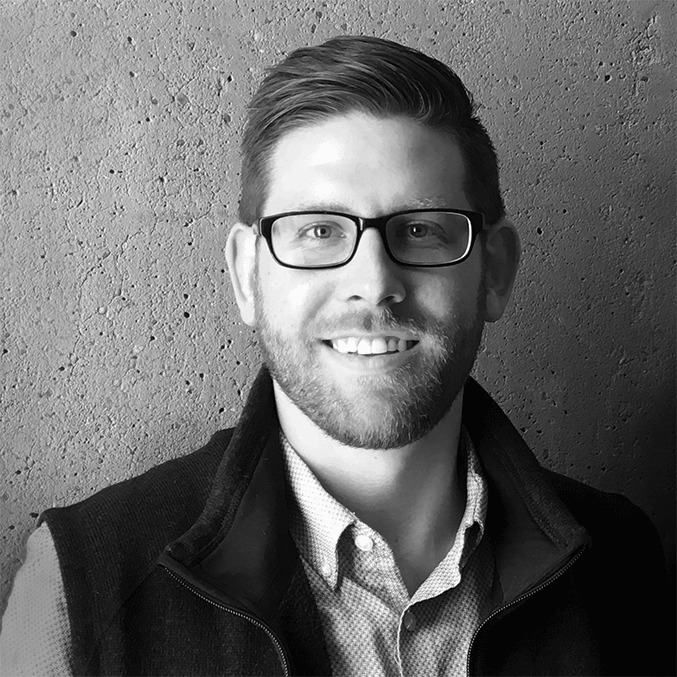 Which one will prove to offer the lowest net cost of college and the best value? Here is a list of the schools in the playoffs, from the lowest net cost to the highest. 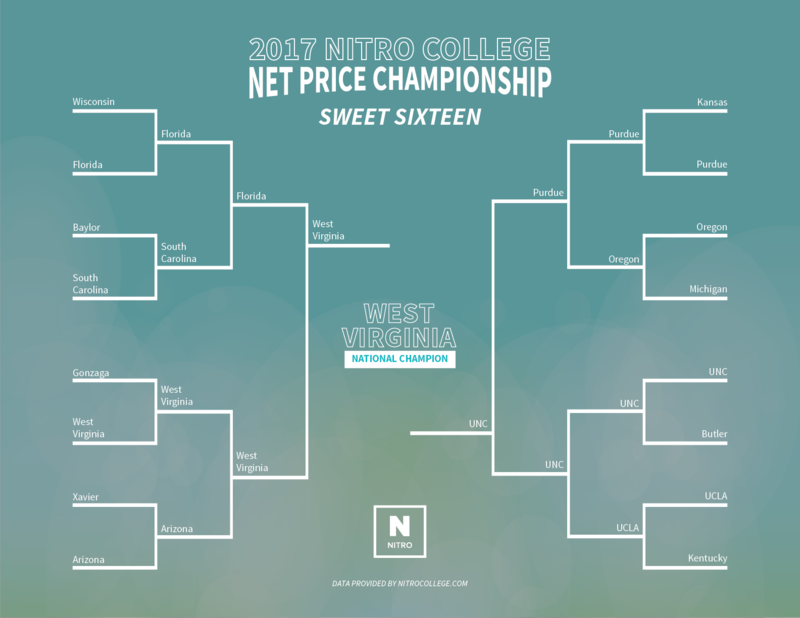 Note that Wichita State, even though it is the third most affordable college in this year’s playoffs, got knocked off in the second round by Northern Kentucky, the eventual winner.